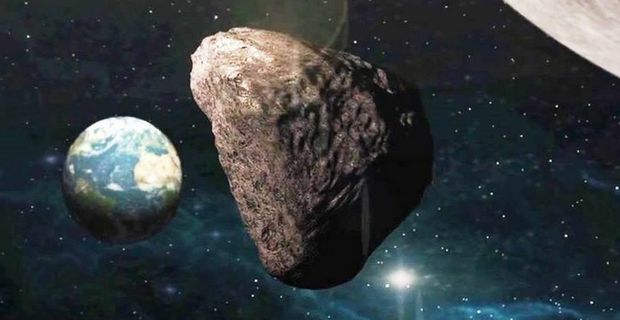 The Earth could be wiped out by a huge asteroid as soon as next week. This is according to Pat Robertson anyway, a megachurch pastor from San Antonio. Robertson is taking advantage of news emanating from NASA recently that asteroid impacts occur more often on Earth than we are actually aware of. He does have a history of predicting the end of the world however so don't cancel all your appointments for next week just yet. Robertson said “I don't see anything else that fulfils the prophetic words of Jesus Christ other than an asteroid strike. There isn't anything else that will cause the seas to roil or the skies to darken”. The pastor appealed to people to get their affairs in order saying “Just get ready. Get right. And stay right with the Lord… It could be next week, it could be 1,000 years from now. But nevertheless, we want to be ready whenever the Lord says, 'I'm wrapping it up, and it's time to come home.”. Not surprisingly, Robertson has a new book out entitled The End of the Age and he is carrying out a big publicity drive in the lead up the the launch. This is the same tactic employed by fellow Pastor John Hagee who recently has been busy plugging his book Four Blood Moons: Something is About to Change. Hagee believes that God communicates through celestial events and whenever a large number of Blood Moons occur in a short time he claims something big happens in Israel's story. Hagee sees last weeks Blood Moon as part of a series of moons that will signal a great change for Israel in 2015.